Alzheimer’s disease is the sixth-leading cause of death in the United States. One in three seniors die of Alzheimer’s, and almost two-thirds of Americans with Alzheimer’s disease are women. While millions of dollars go to fund Alzheimer’s research every year, there is no cure yet for the degenerative disease. There are, however, specific health and lifestyle changes that can stave off dementia and keep your mental facilities functioning properly. Research has shown Alzheimer’s may be at least partially caused by a buildup of plaque in the brain. Plaque can block cells from communicating with each other and activate inflammation within the body. When inflammation is detected, the immune system is activated and starts attacking the inflamed cells, which can often lead to the destruction of healthy cells in a person with Alzheimer’s. A study at the University of Southern California found that vitamin D, specifically vitamin D3, could actually clear the brain of plaque, delaying or preventing the onset of Alzheimer’s. 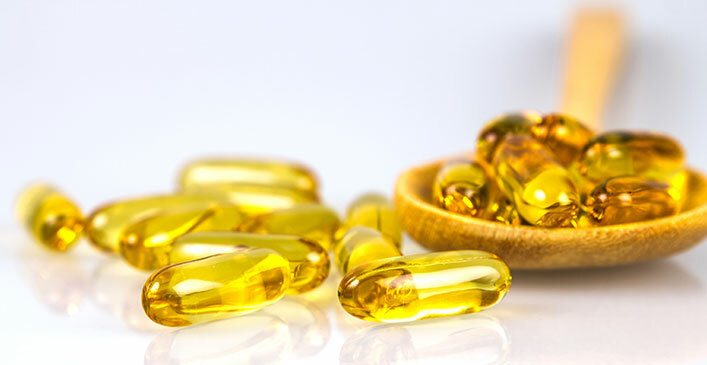 The Vitamin D Council recommends getting your daily vitamin D from sun exposure or supplements. The amount of sun needed depends on the color of your skin and where you live in relation to the equator. Aside from sun and supplements, consuming foods high in vitamin D, such as fish, mushrooms, milk, cheese, eggs and fortified orange juice, is also beneficial.